Co-organizing Shonan Meeting on Fuzzing and Symbolic Execution, 23-27 Sept 2019. Our review article "Automated Program Repair" will appear in Communications of the ACM (Pre-print). Sergey Mechtaev receives 2019 ACM SIGSOFT Outstanding Doctoral Dissertation Award for his PhD work (Dissertation). Grant call launched by National Satellite of Excellence in Trustworthy Software Systems. Please submit a proposal if you are eligible. 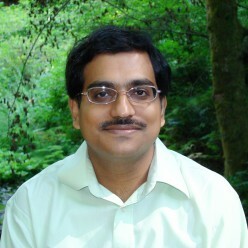 Abhik Roychoudhury is a Professor of Computer Science at the National University of Singapore. He is the Director of the National Satellite of Excellence in Trustworthy Software Systems at Singapore (2019-23). He is currently leading the TSUNAMi research center (2015-20), a large five-year long targeted research effort funded by National Research Foundation in the domain of trust-worthy software. He is also the Lead Principal Investigator of the Singapore Cyber-security Consortium (2016-22), which is a consortium of more than 40 companies in the cyber-security space engaging with academia for research and collaboration. He has advised on secure and smart cyber-space in different capacities, including being an industry advisory board member of the London Office for Rapid Cyber-security Advancement (LORCA) since 2018. His research focuses on software testing and analysis, software security and trust-worthy software construction. His research group has built scalable techniques for testing, debugging and repair of programs using systematic semantic analysis. The research on automatically repairing programs at a large scale contributes to the vision of self-healing software. He has been an ACM Distinguished Speaker (2013-19). His research has been funded by various agencies and companies, including the National Research Foundation (NRF), Office of Naval Research (ONR), Ministry of Education (MoE), A*STAR, Defense Research and Technology Office (DRTech), DSO National Laboratories, Microsoft and IBM. He has been a keynote speaker at several conferences, and has served in various capacities in the program committees and organizing committees of various conferences on software engineering, specifically serving as Program Chair of ACM International Symposium on Software Testing and Analysis (ISSTA) 2016 and General Chair of ACM SIGSOFT Symposium on Foundations of Software Engineering (FSE) 2022. 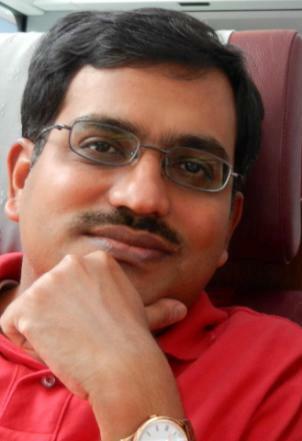 He has served as an Editorial Board member of IEEE Transactions on Software Engineering (TSE) during 2014-18, and in the Editorial Board for Frontiers of Computer Science (FCS) during 2019-21. His former students have been placed at universities all over the world as academics (Peking University, University College London, Monash, Shandong, SUSTech, SUTD) and have received various awards for their PhD research. Abhik received his Ph.D. in Computer Science from the State University of New York at Stony Brook in 2000. Program Analysis, Software Security, Trustworthy Software, Program repair. Enhancing Security, Timing Predictability or Energy Consumption of Real-time Embedded Software. National Satellite of Excellence in Trustworthy Software Systems, 2019-23. Trustworthy systems from un-trusted component amalgamations, 2015-20. 2019: Dr. Sergey Mechtaev receives 2019 ACM SIGSOFT Outstanding Doctoral Dissertation Award for his PhD work at NUS (Dissertation). 2019: Our review article "Automated Program Repair" will appear in Communications of the ACM (Pre-print). 2019: Sergey Mechtaev has defended his PhD thesis Semantic Program Repair and has joined University College London (UCL) as Lecturer. 2019: Marcel Boehme receives Australian Research Council (ARC) Discovery Early Researcher Award (DECRA) for his work on fuzz testing. Keynote speaker at 25th Australasian Software Engineering Conference (ASWEC 2018), speaking on Automated Program Repair. July 2018: Our approach oo7 defends against Spectre Attacks, and imposes low (less than 2%) performance overheads. Speaker at the 9th International Summer School on Information Security and Protection, Australian National University, July 2018. Keynote speaker at 21st IEEE International Symposium on Real-time Computing (ISORC), NTU Singapore, May 2018. Our work on repair of non-functional properties of mobile apps is highlighted in IEEE Innovation Spotlight. Keynote speaker at KLEE Workshop on Symbolic Execution (Apr 18), Imperial College London. Marcel Boehme has joined Monash University as Lecturer and Shin Hwei Tan has joined SUSTech as Assistant Professor. Keynote at 25th Australasian Software Engineering Conference, Adelaide, November 2018. Keynote at KLEE Workshop on Symbolic Execution, Imperial College London, April 2018. Keynote in 21st International Symposium on Real-time Computing (ISORC) 2018, Singapore. Future of Mobile Software Keynote at MobileSoft 2017, Buenos Aires, Argentina, May 2017. Overview talk at Dagstuhl seminar on Automated Program Repair, Germany, January 2017. Distinguished Lecture, University of Luxembourg, Interdisciplinary Centre for Security, Reliability and Trust (SnT), January 2017, Watch VIDEO on Youtube. "There is no joy in the finite. There is joy only in the infinite." - Upanishads. ---> What can you infer by combining the above two statements? "If you shut the door to all errors, truth will be shut out." - Rabindranath Tagore. ---> In formal verification - we establish truth of a property in a model by shutting out all errors!